On a hot day recently, I'd been reading Lisa St Aubyn de Teran's book Mozambique Mysteries, about her life and work in the hot, green coastal mangrove-lands of remotest northern Mozambique. As I walked very slowly in the park, hot already by nine o'clock and steaming at noon, so green and lush after the heat exploding into downpours, it felt like a small, tame offshoot of the landscape she describes. The watery light and fierce colours were very striking and my camera came out of its unseasonal hibernation. I'd risen early and by mid morning had been in the library, visited the Picture Gallery, walked in the flickering shade taking photos, and lingered in cafes. Lovely as the morning light had been and lucky as I was to be at liberty - a planned respite after strenuous efforts - the rest of the day loomed long and hot. I was so glad, though, that I'd made it to the gallery before the height of the heat and crowds. I'm in love with the works of Mark Gertler in the current Crisis of Brilliance exhibition at Dulwich. This is an unsurprisingly popular show, including also Dora Carrington's moving portrait of Lytton Strachey and a lot more vivid, lovely work by young British artists just before, during and after World War I. 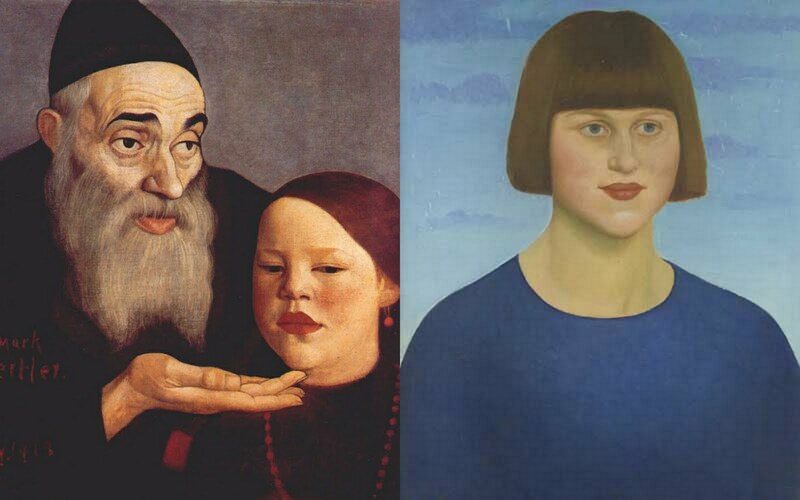 But Mark Gertler's paintings, with their limpid intensity and that slight flattening that allows their sheer luminosity to provide the third dimension - well, some days later I can still feel the quivering of these. It's sad that his life (see above link) was not so luminous. Too obvious, perhaps, but simple lines and shapes are always a pleasure, lifting the spirit crushed and dazzled by humid heat.